An Ayurvedic herb for treatment of Liver failure and other liver ailments like fatty liver. Katuki ( Picrorrhiza kurrao ) – The literal meaning of Katuki in Sanskrit language is bitter. This is a small delicate herb which likes to grow only in pristine environs of snow clad Himalayan mountains. There are traders, manufacturers nowadays trying to grow it in lower Himalayas (with difficulty) due to its growing demand and extensive therapeutic benefits. Ancient references – The most comprehensive and authoritative text on Ayurvedic medicine is Charak Samhita written more than 2500 years ago from now. Properties of Katuki and Mechanism of action according to Ayurveda – Picrorrhiza kurrao is cooling and removal of excessive fire energy from the body. In Ayurveda it is mentioned as “katuki pitta virechana sarvshreshtha” i.e. Kutki is best of removal of excessive Pitta from the body via colon. It removes toxins from the colon and is cooling in nature. Diseases caused by Pitta and Kapha respond quickly to use of Katuki. These are all the diseases which makes your fatty and acidic. So Katuki is anti acidit and anti fat and cooling in nature. Anti acid means it creates alkaline media in the blood. So it’s good for Acne, Pimples, complicated skin disorders, URIC ACID, urea, creatinine etc. It’s beneficial in liver and kidney failure, Diabetes, Cancers of liver, Skin and Psoriasis. Hypothyroidism, Diabetes, Uric acid, Obesity, High urea and Creatinine, Psoriasis, Sluggish metabolism, too much heat and aggression, Negative thoughts in mind like Aggression, Anger, Jealousy, hatred as Katuki is cooling in nature. 2. LOSS OF BELLY FAT – Since Katuki helps to remove fats from liver, slowly the belly fat is also removed by liver by regular use of Katuki. 3. FATTY LIVER - Fatty liver leads to so many health problems. It can also lead to diabetes because sluggish fat metabolism leads to accumulation of fats around cells, leading to the insulin resistance. 4.OBESITY - Proper metabolism of fats and their digestion – obesity is corrected by use of Katuki and products containing Katuki as their major ingredient. 5. COLON CLEANSING / CONSTIPATION – Constipation is corrected immediately by use of Katuki. This herb is non-habit forming and much better than Senna and other laxative which are habit forming. Katuki can be mixed with Triphala powder ( Vara Churna ) for making it a laxative than a purgative. Or Yakrit Plihantak churna can be consumed as 1 teaspoonful twice daily, with warm water after meals, as a better laxative than plain katuki. 6.PSORIASIS - According to Ayurveda, this complicated disorder can be cured using herbs which are blood cleansers, colon cleansers and are having good cleansing action on liver. Too much fire element imbalance is the root cause of skin disorders ( as per Ayurveda). Katuki is world’s best “pitta virechna” herb. i.e. it clears the excessive pitta from the body i.e. removes excessive heat from the body. It helps in controlling the itching, reduces the burning sensation in the skin, clears the plaque / scales and helps to maintain a healthy skin in psoriasis patients. 7. Hepatitis & LIVER FAILURE - Katuki works best for liver cirrhosis, elevated liver enzymes, Liver failure, Fatty liver and other diseases mentioned above. Message to People - Katuki Is now endangered species of plants. It is our duty to spread the message to farmers of higher Himalayan region to cultivate this rare herb organically as this will not help them economically but also help many chronic patients of liver ailments. We are using this herb in our formulations. The results are great. The message to liver patients – Don’t loose hope. Katuki is there to help you to fight your liver problem. Other than Katuki, there are many more beautiful, effective herbs for liver ailments on this earth. You just need the right one and right combination. 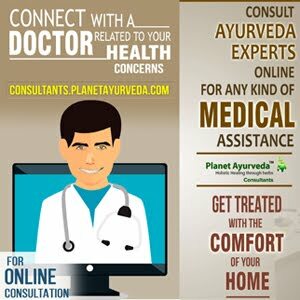 The message to Doctors – It will be good if you look at Katuki and other ayurvedic herbs as God’s creation for a reason. Do more research on it before saying – No, this won’t work and there is no hope. English – Hellebore ( Although there are many more plants named Hellebore in English) So it’s better to look for Picrrhoza kurrao, Picrrohiza scrophularia. Can Kutki be used longterm as a preventative measure against future liver issues (no current issues known).